Beware of Pickpockets in Belgium! While there are pickpockets all over the world, this problem seems especially rampant in Belgium. The train station seems to be the main place where this crime takes place. 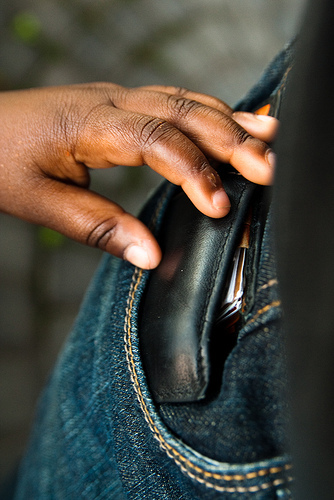 Some of the pickpockets in Belgium have even been known to spray a glue on people’s clothing hoping to get the person to take it off or distract them while they steal that person’s valuables. Make sure in the railway stations that you only buy your tickets from the ticket window and not from anyone who is trying to help you. The pickpockets in Belgium also hang out around people’s hotels and areas where tourists usually hang out. One scam that has happened often is one in which they will casually ask someone for a lighter, befriend them, start talking about football, and do a play tackle and steal that person’s wallet while they seem to be just horsing around.The area around the Grand Palace is also an area to watch out for. These pickpockets don’t usually work alone, but often work in small groups, so remember, you will be safer if you can get with a group of people and look out for each other. Of course, it’s always best not to “announce” that you are a tourist by traveling around in Belgium with a map or Lonely Planet in plain view. If you get lost, the best thing to do is find a coffee shop or restaurant, take a seat, and ask for directions to your destination. Make eye contact with the people around you when you are walking down the street. Never travel down the street with your passport or large amounts of cash. Leave these items in your hotel safe. Don’t flash expensive electronics like a camera or your iPhone. People will steal them right out of your hands. For the most part, Belgium is a safe area, but you just want to be careful and watch out for the pickpockets who can ruin your vacation. It’s not just pickpockets you have be weary of when visiting or moving to Belgium. The US Embassy in Brussels had warned against internet con artists located in Belgium. It appears that Belgium serves as a central hub for different type of fraudsters (who might be not located in Belgium at all, and only claim so) that try to seek for lonely individuals online and persuade them to wire them money abroad to Belgium. These scams are different from the “Nigerian Scams”. Whereas in the Nigerian scams you are told you’ve inherited a large amount of money and need to send a downpayment for the money to arrive, targeting mostly older people, the “Belgian Scams” focus on any type of individual who is looking to make connections online. They work on their victims slowly, and try to establish trust before asking for financial aid. What both these scams have in common is that scammers will be often looking for the other party to send money to them via services like Western Union and Moneygram which enable clients to receive it anonymously. It’s important to be extremely cautious with people you meet online and seek for ways to verify their identity as much as possible, and never commit to help them financially until you know them. 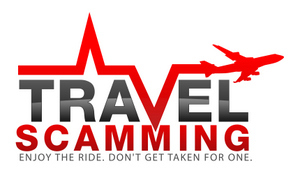 Choosing the right money transfer company can also help you not be scammed. I was at a train staion in Bruxelles. travel center, I noticed there was a person excuse me to say a black man that was very strange looking, sad faced, staring at me with a stub Number on his hand. So my number was up in the monitor, that person was just standing there. I finished my bussiness got my ticket and left in a hurry. when we were ready to board i found out that my wallet was gone, credit cards,drive licences and cash. went back to the travel center and ask if acicidentally my wallet was left, the service person said he saw me put in my pocket. one thing I remembered that this people uses some magic trance on you. I did not feel anything or someone distracted me. well it happens and I was not aware of at that occasion. Yes, they are very good at what they do…. Pickpockets are alive and well as I found out on a recent work trip. I must have been targeted at some point during the week when I pulled it out in public. I have carried a breast pocket wallet for over 35 years and never thought someone would be able to steal it without me knowing it. As luck would have it, I didn’t have much cash in it- Less than $60.oo , my driver’s license, work id’s and two company credit cards. Just hope the police catch the pickpocket. So sorry to hear that happened to you! This one is very true. We should always watch out, not only in Belgium but this can happen all over the world.